Director Steven Spielberg's film, Lincoln, starring Daniel Day-Lewis as President Abraham Lincoln and Sally Field as Mary Todd Lincoln, explores the final four months of Lincoln's life. The film opens in select theaters on Nov. 9 and across the country on Nov. 15, 2012. PHS holds materials by and about the Lincoln family. In conjunction with the film's release, we put together a variety of resources to help those interested in learning more about Lincoln’s Presbyterian connections. PHS staff members have been working with First Presbyterian Church in Springfield, Illinois to create preservation copies of their important church records. One item that arrived three weeks ago for microfilming is the session minute book which records the day Mary Todd Lincoln joined the congregation, April 13, 1852. 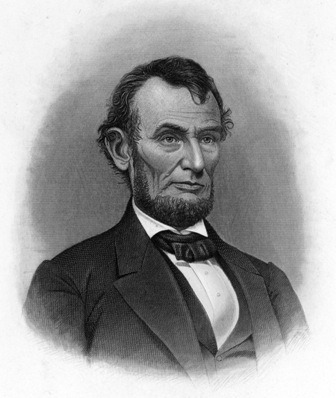 President Abraham Lincoln never officially joined the church but attended services there with his family. PHS also holds the original manuscript of the sermon delivered by the Rev. Phineas D. Gurley at the funeral of the President in the White House on April 19, 1865, in addition to over two hundred sermons and addresses delivered in response to the President’s assassination. Read the full text of Rev. Gurley’s sermon and explore other Lincoln resources on the PHS website.